It’s amazing to me how many people do NOT stop taking acid blockers once they start. Over time, as the stomach makes less acid in response to the acid continuously being suppressed, it can actually get harder to stop taking acid blockers. In particular, the class of acid blockers known as proton pump inhibitors (PPIs) which include Prilosec, Nexium (aka “the purple pill”) and Prevacid, can set up something known as rebound acid hypersecretion. This is a somewhat common issue in those who’ve been taking PPIs for years and even decades. Because stomach acid secretion is shut down by PPIs, the stomach will often start over producing acid as soon as PPI therapy is stopped. In some cases, this can last for weeks or even months. 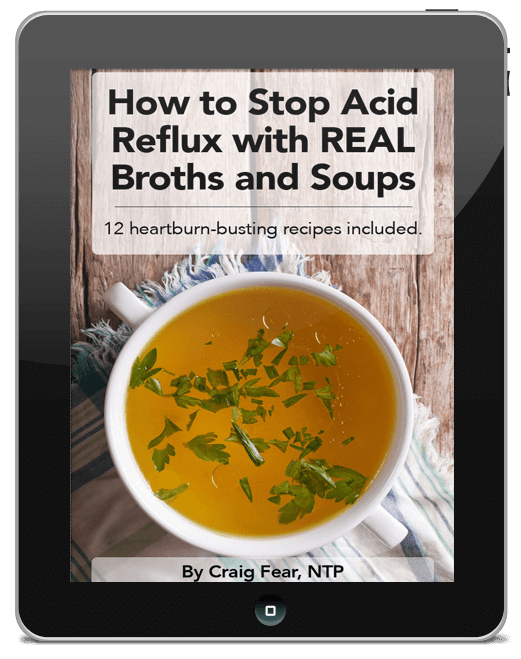 Many report intense acid reflux as soon as they try to stop PPIs. And that’s a good reason to stop taking acid blockers before your body gets too used to them. In recent years more and more concern is being raised over their long-term use. The good news is that they’re fairly safe to take over the short-term, which is their intended use. As a Nutritional Therapist, I’m actually not opposed to using them. If someone is experiencing repeated episodes of severe acid reflux, it’s good to get out of discomfort and prevent damage to the esophagus. But few people look to address the underlying cause and simply continue taking them over the long-term. 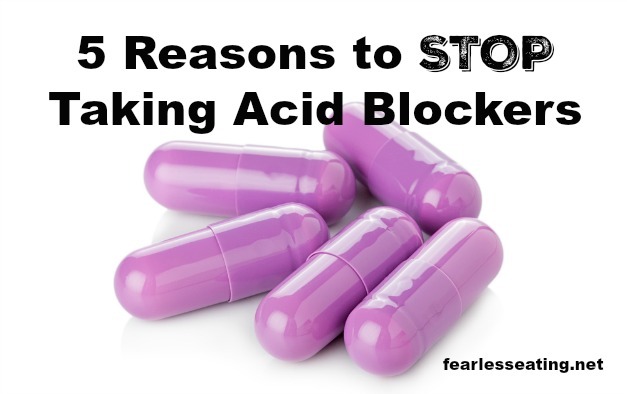 Here’s 5 reasons to stop taking acid blockers. Your stomach is akin to a blender. Its job is to thoroughly break down your food and to prepare it for absorption in the small intestine. Your stomach does this through the action of hydrochloric acid (HCl) and we have millions of acid producing cells in the lining of our stomach. Stomach acid drives the speed of the blender and Nature designed your stomach to be highly acidic and thus for the speed of the blender to be on high. This ensures your food is properly broken down. So what happens if the speed of the blender slows down? In other words, what happens when our stomach acid does not get produced properly? For starters, food doesn’t digest well. And when food doesn’t digest well in our stomach we experience symptoms such as bloating, belching, bad breath, feeling like skipping meals and yes, heartburn. Undigested food in the warm, moist environment of the stomach, especially carbohydrates, can start to ferment and give off gas which can start to put pressure on the lower esophageal sphincter (LES), the valve that keeps the stomach separate from the esophagus. Over time, the LES can weaken through this continuous increased pressure. As pressure builds, some of the acidic contents of the stomach can reflux back into the esophagus. Unlike our stomach, the lining of the esophagus is not meant for acid so it burns and we experience heartburn. So the root cause of heartburn is often the under production of stomach acid. This sounds counterintuitive because we’ve been so thoroughly conditioned to believe the complete opposite which sounds logical until you learn how digestion actually works. And certainly Big Pharma wants to keep you thinking this way. Both antacids (Tums, Rolaids, Alka-Seltzer) and acid blockers compromise the acidity in the stomach ON PURPOSE. In doing so, they relieve the burning sensation of heartburn. However, by altering the naturally acidic environment in the stomach they cause a whole host of other problems in the digestive process. Remember, the stomach is supposed to be highly acidic. Taking acid-suppressing medications is akin to reducing the blender speed of the stomach which exacerbates the underlying problem which is TOO LITTLE acid in the stomach. Thus they perpetuate the vicious cycle of chronic digestive problems including of course the very conditions they are designed to treat, namely heartburn and GERD. This is why most people who take these drugs have to continually take them. If they stop, the heartburn comes right back. The irony in this is just unbelievable. See why acid-blocking medications are among the most profitable drugs in America? Furthermore, because we need strong acid production to break down and digest our food, long-term use of acid-blockers is associated with further health problems. The next four reasons are all about that. Even the FDA has acknowledged this. In 2010 they mandated that the labels on all PPIs mention the association between their long-term use and the increased risk of bone fractures. The FDA is probably referring to this study and this study, both of which show a correlation with PPIs and bone loss. Other studies have shown that long-term use of acid blockers lead to mineral deficiencies in iron, zinc, magnesium and calcium. If long-term stomach acid suppression reduces the body’s ability to absorb minerals, well, it shouldn’t be a surprise that they also suppress the body’s ability to absorb vitamins as well. Remember, stomach acid is designed to break down and digest the nutrients in your food. So a correlation here to vitamin deficiencies shouldn’t be earth shattering news. This study, this study, this study and this study all showed a correlation to vitamin B12 deficiencies, among other nutrient deficiencies as well. Considering a deficiency in vitamin B12 is associated with an increased risk of dementia, this should not be earth shattering news either. A recent study in those over 75 years of age who regularly take PPIs found a 44% increase in risk dementia compared to those not taking PPIs. As noted in the study, it’s certainly not a direct cause and effect, but judging from the first four reasons on this list, do you really need absolute proof that PPIs may not be smart to take over the long-term? These five reasons to stop taking acid blockers are just some of the more commonly known reasons. Other studies with long-term use of acid blockers have shown correlations to an increased risk of heart attack, an increased risk of infection and an increased risk of pneumonia. Who knows what the next risk over the long-term will show! I’m sure another study will make headlines soon. Dietary changes MUST form the foundation. Over the long-term, eating a real food, low carb, Paleo-esque diet can work wonders. Reducing or even better, eliminating processed foods, refined carbohydrates and sugar is essential. Eliminating gluten or even all grains for a month can also be very helpful. My book, The 30-Day Heartburn Solution, lays out an in-depth dietary plan including recipes and meal plans. All that being said, if you’ve been on acid blockers for extended periods, dietary changes alone may not be enough to stop taking acid blockers. If you’ve tried in the past but have had difficulty doing so because of rebound acid hypersecretion, there’s a way to wean off acid blockers. It’s not easy and it can take some trial and error but over time it can be done. Diet is key for sure and if you haven’t addressed that piece of the equation yet, you must start there. I will explain how to wean off acid blockers very soon in a follow up post. I will include the link here when the post is ready. Update: The follow up post is now ready. 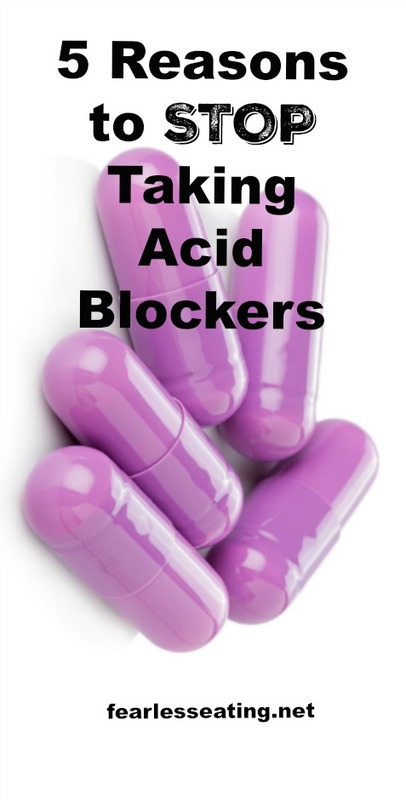 Click here to read how to wean off acid blockers.